Our assorted cookie plate features a mixture of our favorite cookie recipes! 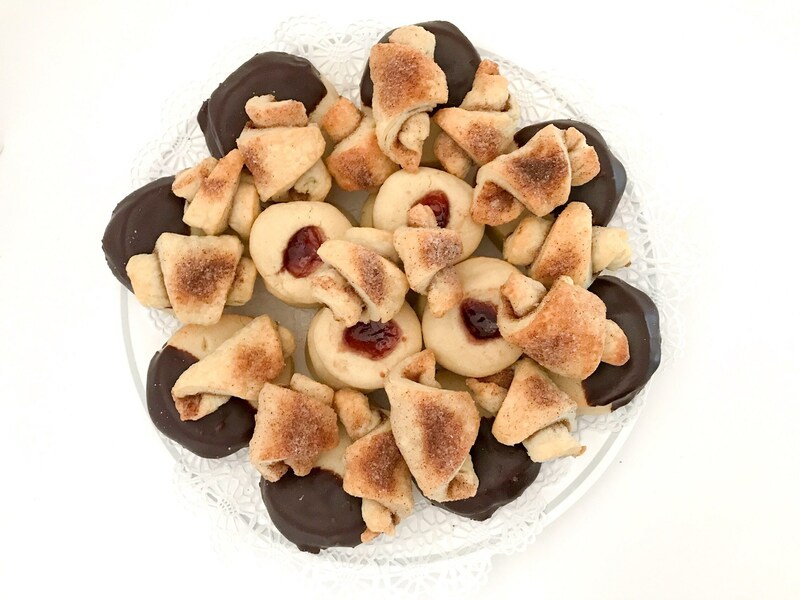 Enjoy four dozen of our delicious chocolate covered Spritz cookies, our flaky cinnamon Rugelach cookies, and our decadent Raspberry Thumbprint cookies, all on one plate! Or order a whole plate of your favorite flavor. Silver tray not included. Shipped on a decorative plastic plate.